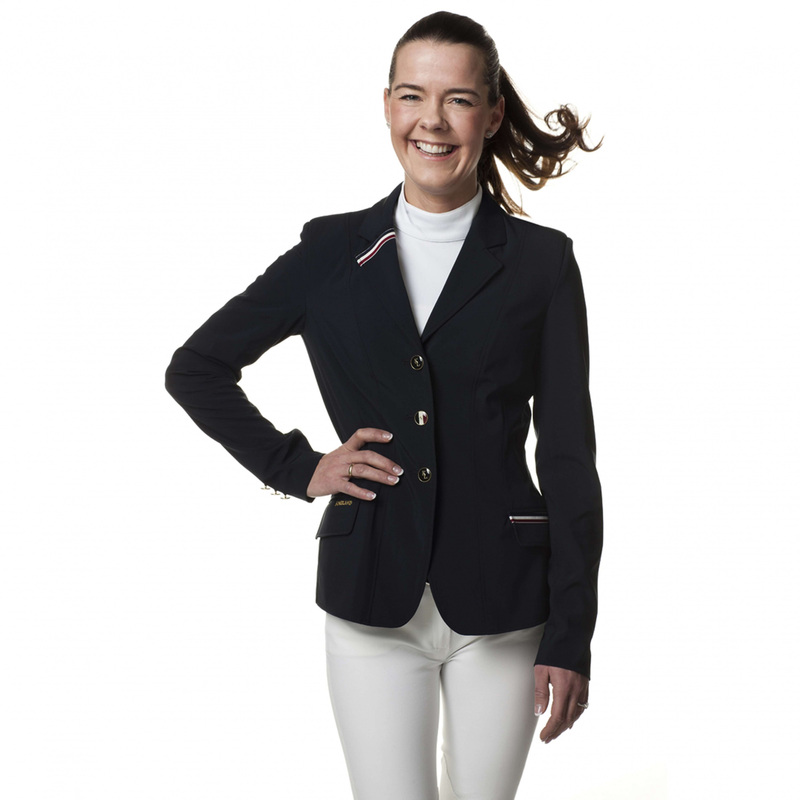 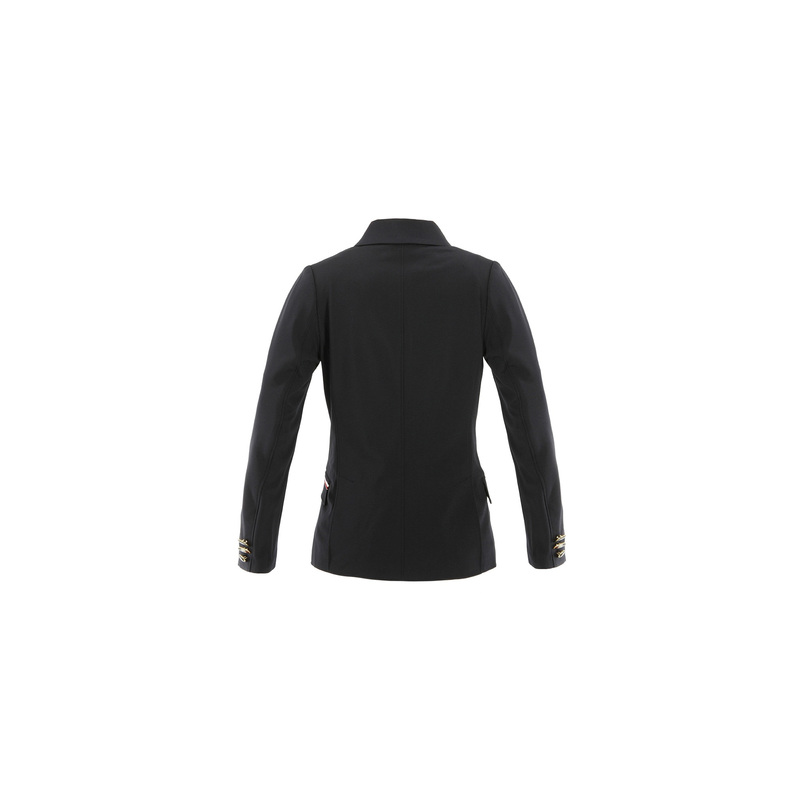 Sloane is a perfectly fitted to the body elegant show jacket fastened with three decorative buttons. 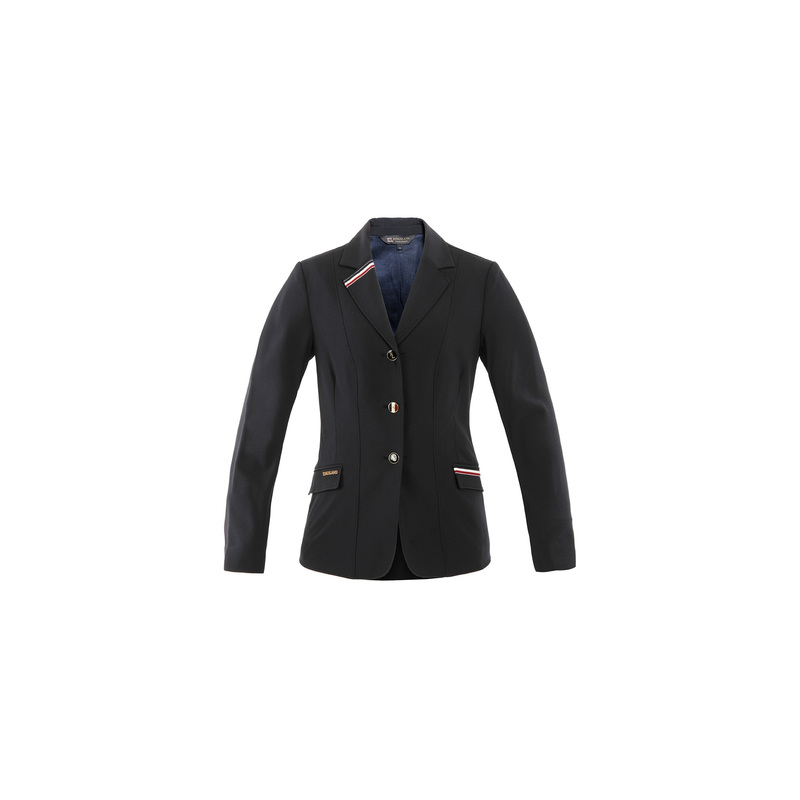 Made of waterproof and breathable material. 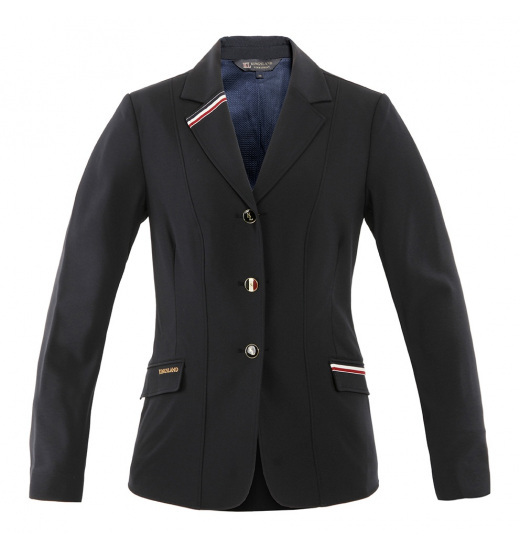 On the left pocket and right collar has a tricolor stripes characteristic for Kingsland.